Here we see the afternoon sun shining on the upper parts of theLyantskoronskaya, Komendanskaya and Rozhdankaya Towers (right to left). 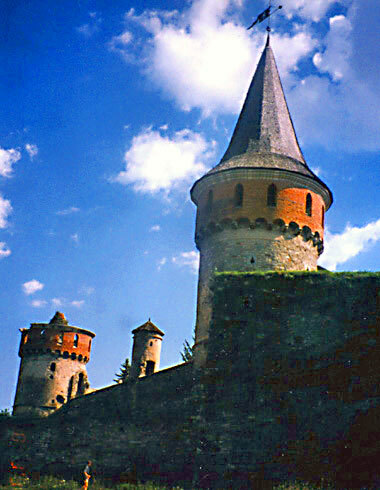 (See castle plan.) We are standing outside the castle on its northern side.